Elrich in action for the Wanderers in 2013. FOUNDATION Western Sydney Wanderers defender Tarek Elrich has finally confirmed his return to the A-League club on a two-year deal. The fullback made 11 appearances in his only previous season with the club which culminated in the Premiers Plate and a run to the grand final. The 31-year-old spent the past five seasons with Adelaide United, playing 112 games and winning the premiership, championship and FFA Cup. He was also capped three times by the Socceroos. 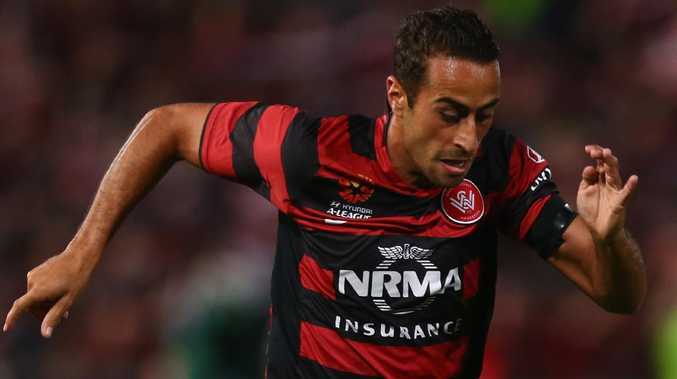 Elrich, a Western Sydney local who played junior football with Parramatta Eagles, has been linked with a return to the Wanderers for several months. He missed most of the 2017-18 season with a knee injury, "Both myself and my family are over the moon. I'm glad to be back where it all started for me," Elrich said in a statement. "I'm going to work as hard as I can to cement my spot in the team. "I've been playing and training for a few months and it's felt great and I've missed the game a lot so I'm actually really looking forward to putting on the boots again and playing in front of my friends and family."